The Ford Fiesta was the top-selling car model in Britain in 2016. The Vauxhall Corsa, Ford Focus and VW Golf were also popular in the UK. However, most of the top ten best-selling car models in Britain lost market share in 2016 with lower sales in an expanding market. New passenger vehicle registrations in the UK increased by 2.5% to a record 2,692,786 cars in 2016. The top five best-selling car models in Britain in 2016 were unchanged from a year ago with the Mercedes Benz C-Class the only new model on the top-ten list. However, many of Britain’s favorite cars sold in smaller numbers in 2016 than in recent years. Although the British new car market had a record 2016, many of the most-popular car models lost market share. The Ford Fiesta was again Britain’s best-selling car model in 2016 – the eighth consecutive year that the Fiesta was Britain’s favorite car model. However, Ford sold 13,000 fewer Fiestas in 2016 than a year ago. Sales numbers for the Fiesta in Britain in 2016 were the lowest since 2012, when only 109,265 Fiestas were sold. 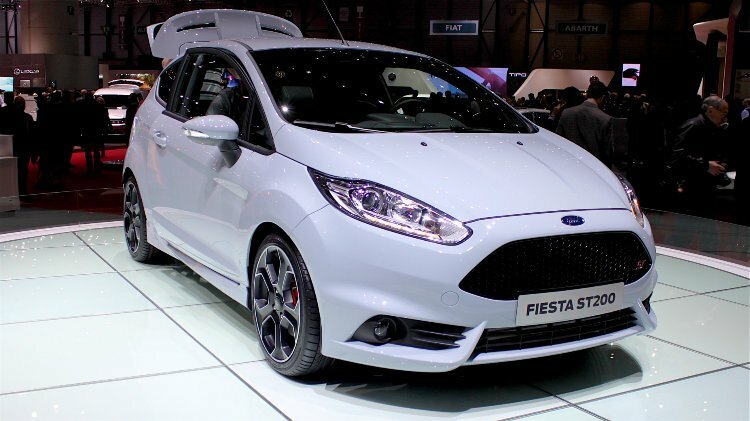 The seventh generation Fiesta should be launched in 2017. The Ford Fiesta was last outsold in Britain in 2008 when both the Focus and Corsa were more popular. The Vauxhall Corsa was Britain’s second best-selling car in 2016 for the second consecutive year. However, sales volumes were down and the lowest for a Corsa in Britain since 2006. The current model was launched in 2014 and is not due for replacement until at least 2018. The Ford Focus was again the third most-popular car in Britain in 2016. However, sales numbers were down by more than 13,000 and the worst ever for the Focus in Britain. In 2005, Ford sold more than double the number of Focus cars in Britain compared to 2016. The Focus was launched in 2011 and is due for replacement soon. The VW Golf was Britain’s fourth best-selling car model in 2016 – the same position is held since 2014. Sales were down on this model too – around 4,000 fewer Golfs were sold in Britain in 2016 compared to 2015 and 2014. The Nissan Qashqai was Britain’s fifth most popular car in 2106 for the second consecutive year and the top-selling SUV. Qashqai sales reached an all time high in Britain of nearly 63,000 in 2016. The new Vauxhall Astra sold well in Britain in 2016 allowing the Astra to regain 6th place from the VW Polo. Vauxhall sold 8,000 more Astras in 2016 than a year ago for the best numbers in three years. VW Polo sales were only 450 down from a year ago but the small Volkswagen slipped from 6th to 7th most popular car model in Britain in 2016. Like the Nissan Qashqai, the VW Polo has been on the British top-ten list since 2010. The Mini was again amongst the top ten best-selling car models in Britain in 2016 and improved from 10th last year to eighth. The Mercedes C-Class entered the top-ten list for only the second time – the Mercedes was also the ninth best-selling car model in Britain in 2012. After two years as the eighth most-popular car model in Britain, the Audi A3 slipped to tenth with sales down by almost 4,000 cars. The Vauxhall Mokka slipped off the list from 10th a year ago.